A mouse, a keyboard, and a monitor can be key determinants of whether a game is won or lost. Therefore, choosing the right gaming mouse is very important. So, what is a gaming mouse and how does a gaming mouse work? To start with, a gaming mouse is essentially a desktop mouse with extra features and functions that enable its ability to operate computer games and high-intensity programming. The main features that can be found in gaming mice include higher sensitivity, extra programmable buttons, faster response and adjustable weight. The First-person shooter (FPS) games, which are a genre of video games designed around guns and other weapon-based combat where the player experienced the game through the eyes of the protagonist. FPS games are probably the action games genre that benefits the most from gaming mice. The reason for this revolves around the fast pace at which most FPS games operate – every second count in FPS competitive gaming. Because of this, having the best FPS mouse is crucial especially when one takes competitive FPS gaming seriously. So, what are the key factors to consider when looking for the best wireless gaming mouse for FPS gamers? Specialists in FPS gaming recommend some key factors to consider: Performance, specifications, quality, and Value for Money. The performance of a gaming mouse is not dependent on its accuracy and specifications alone, but also on how comfortable the player is in handling the mouse. You can get the best mouse with the best features, but this may lead to a disappointment if the player is not comfortable with the FPS gaming mouse of choice. Choosing a mouse that feels natural and comfortable allows you to access the micro keys more easily depending on their location on the mouse; ranging from multiple locations to the right depending on the shape of the mouse. Macro keys can be programmed for various functions or abilities in the game thus, reducing your reaction time. Simple aspects such as the grip style of the user may mean a lot in terms of winning or losing the game. Some mice may require gripping from the palm, claw or tip – depending on the preference of the gamer and the needs dictated by the FPS game. As part of your preparation for the game, you can learn each of these three grip styles to improve your performance and increase your chances. It is therefore very important for the gamer to find the best wireless mouse equipped with the right specifications; and comfortable to use. This raises the argument about which mouse is best for FPS gamers – optical or laser. Generally, modern gaming mice are equipped with either optical or laser sensors. Optical mice can further be split into two: red LED optical mouse which is the most common and works well when paired with a specific mousepad or surface, and blue LED optical mouse. The blue LED optical mouse and the laser mice can adjust to many different textures between your desk and the mousepad, and cans also are used on glass! Although the sensitivity of laser mice is higher and allows for further Dots per inch (DPI) setting, it is usually much more expensive. On the other hand, optical mice have less sensitivity, are cheaper and can be more accurate due to their ability to accurately respond to the gamer’s hand movement. Different games require different movements hence the need for the player to be able to control the mouse DPI and therefore the speed and accuracy of the game. The bigger the DPI, the faster the movement of the mouse on the screen. High-speed shooter games such as Midair can benefit more from a high DPI as compared to slower games such as Fallout 1-3. The DPI feature can come in handy whenever there is need to switch from one game to the other. There are all-purpose wireless gaming mice manufactured with functionalities that can handle any game secluding FPS games. Although they may be cost-effective and efficient, gamers who need maximum performance prefer dedicated FPS mice. The main reason for this includes the fact that FPS mice are fitted with a sniper button’ which helped to focus the shots more on the target by slowing down the DPI. For seamless performance, it is important for gamers to ensure that the wireless receiver is as close as possible to the wireless FPS gaming mouse. One important feature which is rarely thought of is the mouse foot. Mice feet can either slow or accelerate the mouse movement. So far, Teflon is the most commonly used material. It has the advantage of having special insulating characteristics, resistant to temperature fluctuations and oxidation, does not stick and is self-lubricating. However, experts advise against the use of hard surfaced mousepads especially because Teflon has a low hardness texture which has a disadvantage of being prone to abrasion. Perhaps it might be a great idea to test a mouse several times prior to an anticipated game. Apart from building confidence, this will help you to choose the best mouse for an upcoming FPS game. Testing the mouse several times will also help you to understand the various functionalities of the mice in question, and be able to rule out the undesirable brands. 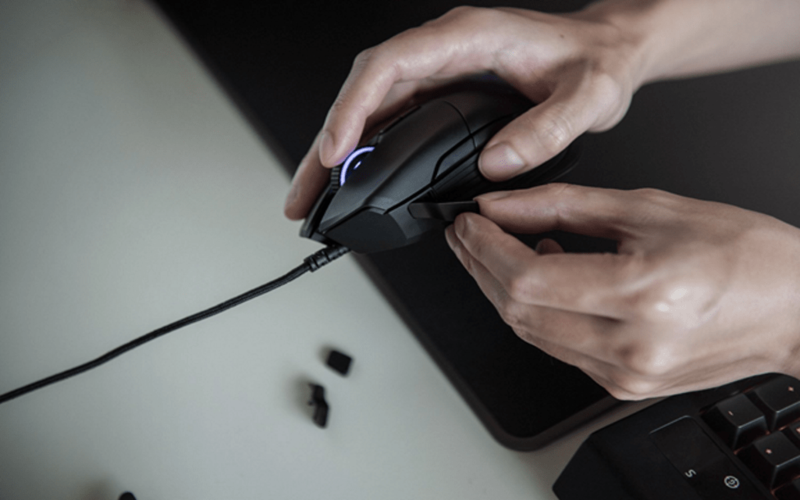 However, bearing in mind individual differences, and the different requirements that come with each FPS game remain an important consideration in the choice of mice for FPS games. There is no straight jacket defining the best wireless gaming mouse for FPS gamers. While the best specifications are a key determinant of performance, there is more to the choice of a mouse than the best specification, price, sensitivity, and comfort. Different games require different movements, speed, and expertise; hence the need for different approaches when selecting a wireless gaming mouse for FPS gamers. The best gaming mouse for FOPS gamers would be the one that gives the best performance at any given time.